From the moment you enter this gated community, you realize that this is a place like no other. Rich in history, and very in tune with nature, it is a place of breathtaking beauty, just minutes from all of the amenities that Marco Island has to offer. This private, gated, sub-tropical Island paradise consists of 546 acres of pristine beauty, with 375 acres of natural preserves, and home sites that range from one half, to one and one half acres, with your choice of preserve, or bay views. Raccoons, tortoises, occasional bobcats, numerous bird species, and many more guests help to welcome you to this preserved beauty. Key Marco was inhabited as early as 3000 B.C., and the Calusa Indians were in residence around 800 A.D. Today, all that remains of the Calusa are approximately fifteen shell mounds. In 1870, Captain John Foley Horr and his family used the retreat as a vacation spot, and later he added a pineapple plantation. The conch shell walls of this vacation retreat has been thoughtfully preserved for the residents of Key Marco. The island was sold in 1923, and, until recently, much has remained unchanged. 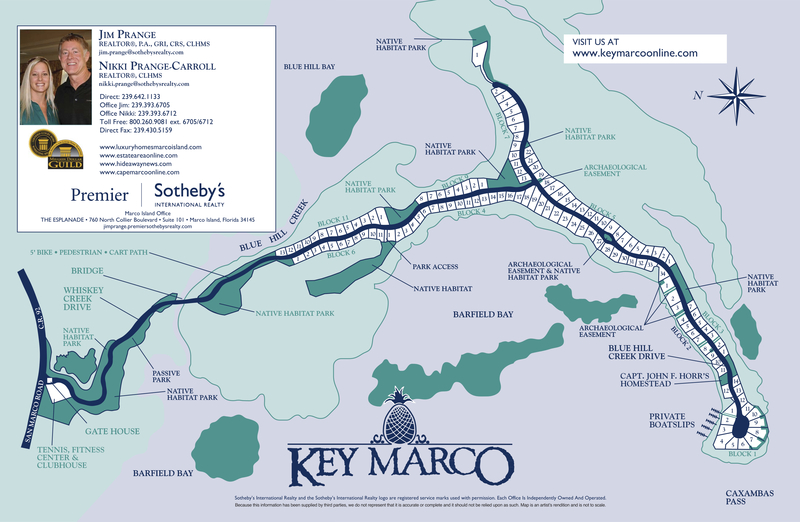 Largest single homesites on Marco Island aside from the Estate-area. Community Center with fitness center, catering kitchen, men's and lady's lounges and meeting areas. As of 2018, the current Homeowner Association Fee is $1,600 per year, and the annual operating/maintenance Community Development District (referred to henceforth as CDD) is an additional $4,700 per year. Total annual fees for the year are $6,300. The Key Marco Community Development District (referred to henceforth as KMCDD) is governed by a five-member Board of Supervisors, elected by the majority of the resident electors in the district. A professional management company, Dorrill Management Group, implements the policies of the Board. W. Neil Dorrill acts as the manager of the CDD. All property owners pay for the operation and maintenance of the CDD improvements through an annual assessment, along with debt service (annual principal, interest, and administration) on KMCDD’s capital improvement bonds. 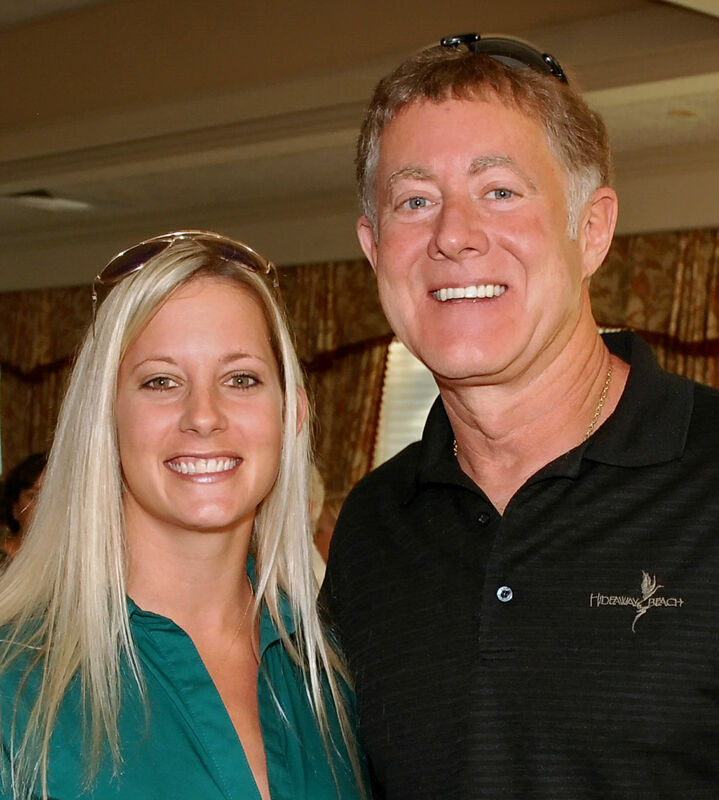 The KMCDD utilizes the Collier County Tax Collector to collect its' assessments each year. The annual assessments are added together and appear as one line in the non-ad valorem section of the property tax bill. The KMCDD fiscal year is October 1st to September 30th.